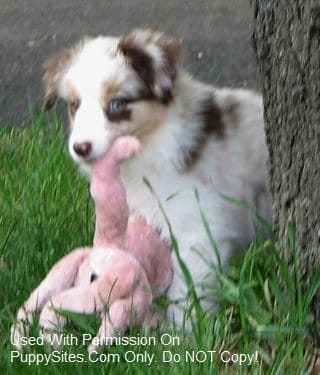 Blue Horizon Toy Aussies specializes in toy to teacup sized miniature Australian shepherds maturing on average around 9-13″ tall and 5-18lbs. 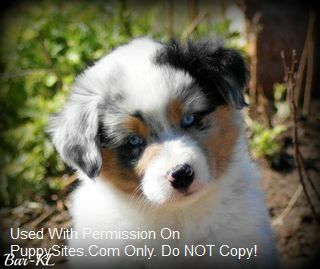 All colors available even sought after blue eyed tris! 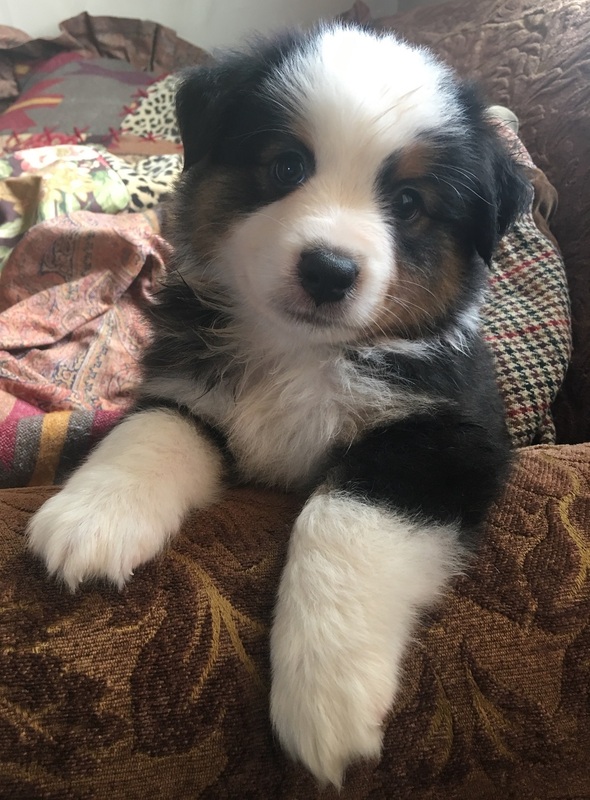 Our main concern is to produce high quality pups with wonderful dispositions as family companions but with the aesthetic conformation and attributes for the show ring. All of our puppies are raised in our home and imprinted from birth. All of my puppies arrive to their forever homes pre-spoiled with love and affection and are very outgoing, personable, and are extremely intelligent; making them a priceless addition to any family. At Elk Lake Kennels we breed for quality, conformation, wonderful temperaments, structural and genetic soundness. 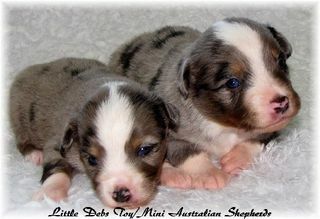 Our Minis are bred from Champion lines to maintain true Aussie type, style, looks, and ability. Our dogs are CERF’ed, OFA’ed, and PRA tested. They are family raised in our home and well socialized. Current vaccinations and health guarantee. Located in the State of Minnesota. 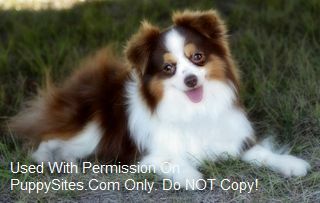 Lulu is proud to breed Quality Teacup, Toy and Miniature Australian Shepherds. We raise these highly intelligent, beautiful and loyal dogs in our home as part of our family. 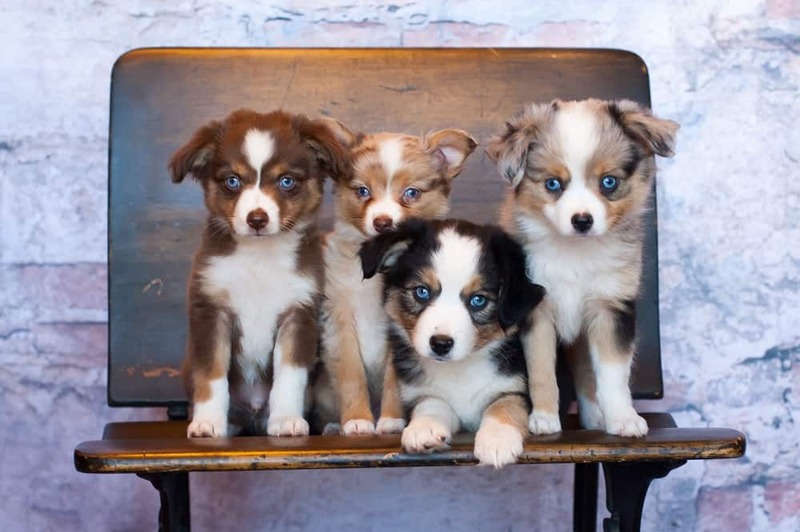 Our toys and mini Aussies are bred for outstanding conformation, health and temperament. Our puppies are born in our home and handled with love and care from the moment they are born, hearing day-to-day noises and surrounded by kids and adults daily. Our aussie are health screened – CERF and are DNA tested for PRA-prcd/MDR-1. Whether you are looking for a fantastic pet, working stock, agility or show dog Lulu has the perfect Aussie for you!